When choosing materials to construct your office or workspace, noise reduction is a paramount concern. You and your employees need an atmosphere conducive to concentration and productivity. 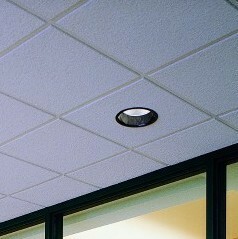 Our acoustic ceiling tiles in Pasadena, MD, are an ideal solution for noise management. When you are looking for acoustic ceiling tiles for your commercial interior, let Couser Supply, Inc. show you the best in value and performance. Our acoustical ceiling tiles are guaranteed to help eliminate noise pollution and generate a more efficient work environment. Experience the difference that our noise-reducing ceiling tiles can make in your office, school, health care clinic, or any other place of work. Properly managed indoor acoustics are a crucial feature for successful work environments. Excessive noise causes distraction and stress, which cause employee productivity and quality to decline sharply. Our durable tiles for acoustics are a guaranteed way to enhance the sense of quiet, comfort, and privacy inside your building. Our ceiling tiles provide a necessary sound barrier that makes offices, conference rooms, and break rooms immune to the noises coming from each other. With this protection from unwanted noise, you can conduct more effective communication during team meetings or on conference calls. Your phone calls and meetings won't be disturbed by the ambient banter of employees in another room. When you install acoustical ceiling tiles in your office, you are investing in the productiveness and positivity of your building's atmosphere. Whatever your building's construction style and interior décor demand, we have a ceiling tile that will be the right match. Let our top-of-the-line, attractive ceiling tiles make your business easy on the eyes and the ears. Our tiles are designed with the science of how sound travels in mind. Many factors determine the behavior of soundwaves in your office: the dimension of the rooms, the construction materials, the layout of objects with the room, etc. The innovative materials from which our acoustical ceiling tiles are made add both sound insulation and sound absorption to your space. Sound insulation prevents sound waves from escaping, while sound absorption prohibits reverberation. The result is a room where conversations are more audible and intelligible, making the work performed in it more efficient. Your employees will enjoy working in a quieter space, and you will appreciate how the right work atmosphere contributes to the optimization of productivity. Call us today to get started on your noise-reducing ceiling. Contact us to learn more about the benefits of acoustic ceiling tiles. We proudly serve our customers in Pasadena, MD.